A series of major research projects from City University London is having a direct, positive impact on women''s experiences of childbirth in the UK and beyond. The projects, examining quality, safety, choice and organisation of birth in various settings, have been widely cited and hugely influential. They have inspired debate, influenced national and international policy and shaped the future of midwifery services. In the 1970s, hospital births were recommended by governments in the UK and many other countries. Professor Alison Macfarlane's research during the 1970s, 80s and 90s raised questions about this approach and the limited data behind it. She showed women wanted more choice and better evidence to inform it. Professor Macfarlane joined City University London in 2001, followed in 2010 by Professor Christine McCourt, who also has extensive experience of maternity research and Dr Juliet Rayment. They became key figures in the Birthplace in England Programme commissioned by the Department of Health Policy Research Programme and the National Institute for Health Research (NIHR). The programme, a collaboration between the University of Oxford, City University London, Kings College London and key stakeholders, looked at births planned at home, as well as in midwifery or obstetric units. It explored cost effectiveness organisational and professional factors impacting on quality and safety; and the experiences of women and practitioners. Its findings were significant. In a sample of 65,000 low-risk women, it found no increased risk if babies were born at home or in midwifery units instead of in hospital obstetric units, and that mothers had lower rates of intervention. Only first births presented a higher risk, and this was just for home births. It also showed that birth at home or in midwifery units incurred lower healthcare costs. This drew on information about costs, collected as part of the evaluation of the Barkantine Birth Centre in Tower Hamlets, led by Professor Macfarlane. The study also highlighted challenges for healthcare professionals in providing birth care in a range of settings and in ensuring women had access to informed choice. Professor McCourt's Organisational Study of Alongside Midwifery Units (AMUs) went on to explore the strengths of these units in greater detail. Both have been influential in using their research to inform the development of future services, helping managers, service commissioners and professionals providing care to consider how to develop, sustain and scale up midwifery units to provide care for more women. The work has been reflected in the recent draft update of the NICE (National Institute for Clinical Excellence) national guidelines for intrapartum care in England and Wales. These new guidelines propose that women at low risk of medical complications should be offered midwifery unit care as a norm, and that women who have had a previous normal birth should also be encouraged to consider having their baby at home. The professors are also part of the team which is conducting a follow-up study using Birthplace Programme data, exploring how organisational, contextual and service user characteristics affected outcomes, as well as the impact of transferring settings during birth. Additionally, they are supervising a PhD student, Lucia Rocca, with a National Institute for Health Research Fellowship to do a project which has taken the Barkantine Birth Centre research a stage further by studying the practices and skills of midwives working in midwifery units. Her aim is to learn more about what helps these units to achieve such good outcomes, and to transfer the learning to other settings. Together, these studies support a policy of women's choice, taken up by the Department of Health for England and internationally as well as locally, where Barts Health has opened a second freestanding midwifery unit in Barking. Their evidence is used by professionals to advise women and by managers and commissioners to make service planning and delivery decisions. Major UK policy documents quote the research as a basis for service design and policy. These include the Government's white paper: Liberating the NHS: No decision about me, without me, and the NHS Commissioning Board's guidance document: Commissioning Maternity Services. 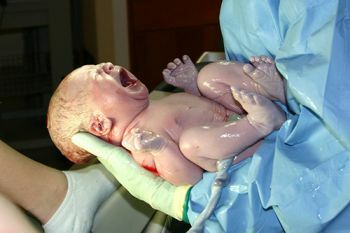 As well as receiving extensive coverage in the medical and national press, the Birthplace Programme and related studies have been cited by the Minister for Health, the Royal College of Midwives, the Royal College of Obstetricians and Gynaecologists (RCOG) and the National Childbirth Trust. Its early impact is reflected in a rapid rise in the number of midwifery units opened in England, as well as NICE's decision to delay a revision of its Intrapartum Care Guidelines (until publication of the Birthplace Programme's latest findings). The draft revision is now under consultation with the final guidelines due for publications in October 2014. The more recent work is also likely to be of value for service managers in considering how to develop and extend midwifery services to provide care according to these new guidelines. The Birthplace Programme is being replicated in Australia, and its findings have informed Brazilian maternity policy, which includes a plan to develop midwifery units across the country. The research has also been cited as evidence for midwifery-led care in Switzerland. Midwives in a range of countries with plans to open birth centres have contacted the team to find out more about the organisational study findings. City's research has had a major impact on understanding, policy and planning in relation to childbirth in the UK and overseas. It has enabled funding to create real service improvements, benefiting women and practitioners alike. The team is already commissioned to conduct further work. Department of Health Policy Research Programme(PRP).